Compatible with Visual Composer 5.1.x, Bootstrap 4.x, Bootstrap 3.x. Patricia has been tested with browsers IE10, IE11, Firefox, Safari, Opera, Chrome. 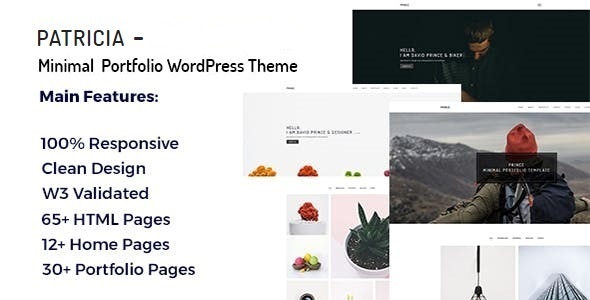 Theme Patricia - Minimal Portfolio WordPress Theme has the following features: Clean, Valid u0026 Developer-friendly HTML5 and C, Visual Composor Page Builder, Easy setup with Demo Content.